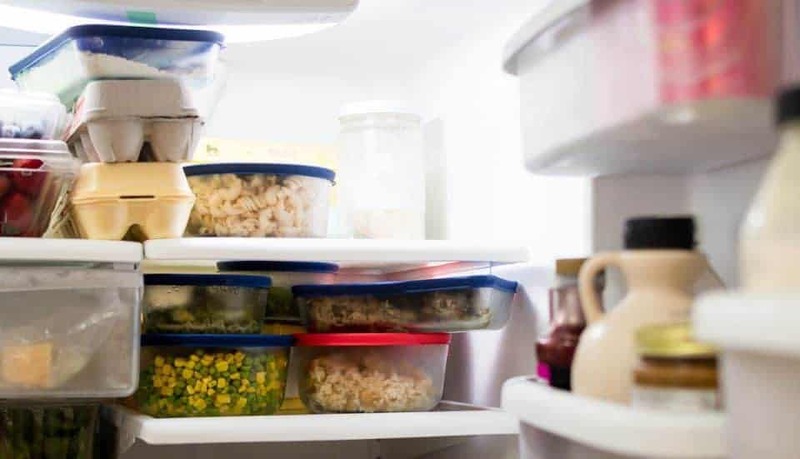 There’s nothing more rewarding for a mom than getting rid of leftovers without having to throw them out. Well, okay, of course, there are more rewarding things in life, but this is definitely at the top of the list! Turn your leftovers that no one really wants to eat into simple one-pot meals that actually taste pretty darn good. Instead of warming up the same leftovers again and again, and trying to convince your family it’s just as good as freshly made…just stop. Avoid the upset you will really be experiencing behind your calm façade as you finally succumb those leftovers to the garbage disposal or the trash. Instead, freshen it up, spice it up, and gloat a wee little bit as your family gobbles up the leftovers like apple pie ice cream with this one pot meal! Kids are already picky eaters (most of them anyway), so getting them to actually consume the food rather than just pushing it around the plate just got easier. Take all those meals, side dishes, and the hard work you’ve done the kitchen, and create yet another masterpiece. First, make sure you have enough leftovers. It’s a crazy notion to think you may not have enough, but the more the tastier. If you only have two items, you may not get the variety of textures and flavors to make it enjoyable. 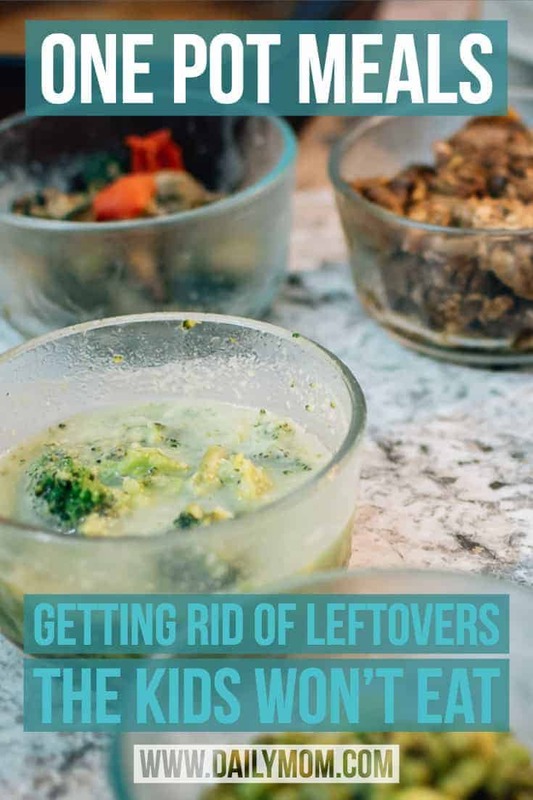 At least three leftover foods is a great start. If you have greens or a ‘filler’ item like spinach, rice, cooked corn grits, quinoa, and the like, use them! Assemble your one pot meal! All of your ingredients are basically going to be a toss it in, layer it, season it, and bake it. There are no right or wrong measurements which makes this meal very easy and forgiving. It’s so easy, you could pretty much task an older child to make it while you take some much needed R&R time. Do be cautious of the salt though! Too much salt will surely ruin anyone’s best efforts. Seasonings of choice – salt, pepper, garlic powder, herbs like thyme, rosemary, basil, etc. Layer your leftovers like a casserole. Begin by layering your leftovers in the appropriately-sized dish for your family meal. This is a 9×9 inch stone pan. 13×9 inch pans work great too, especially if you need something quick for a potluck gathering. Be sure to use a healthy fat to keep your “crust” from sticking or burning. Layer your grains on the bottom to act like the “crust” of the casserole. Now, it’s really up to you on how you want to assemble your casserole one pot dish. Chop or slice any bigger cuts of meats and vegetables into bite-sized pieces and arrange them in layers for texturizing effects. Dot with butter squares between the food layers and on top to add in healthy fat and flavor. Adding shredded cheese, if so desired, to the top or between the layers will also add healthy fat and create a richer, creamier dish. If you want to sneak in some greens, it is a great way to up your vegetable intake for the day. Plus, it’s a simple, stress-free way to get the kids to eat more veggies. Season to taste as you layer the food. But, be mindful of the seasonings already present in the pre-cooked leftovers. 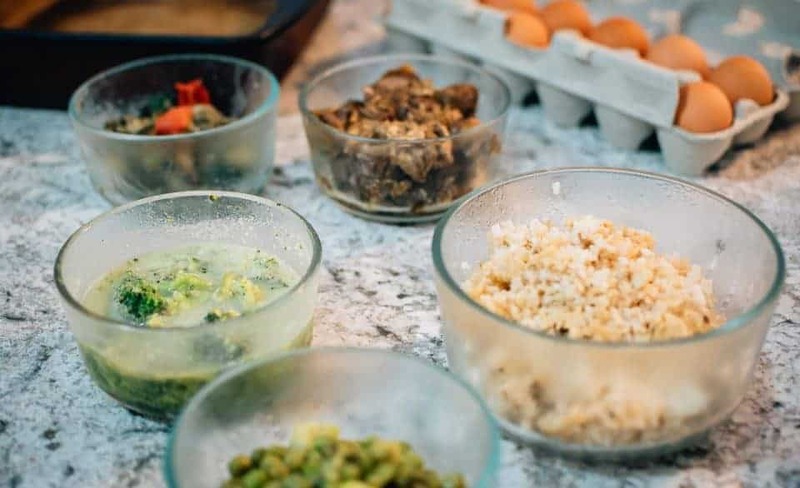 Finally, to bring your one-pot meal altogether, scramble one-half dozen to eighteen eggs (go upon your taste and size of the pan being used) seasoned with salt/pepper/spices. 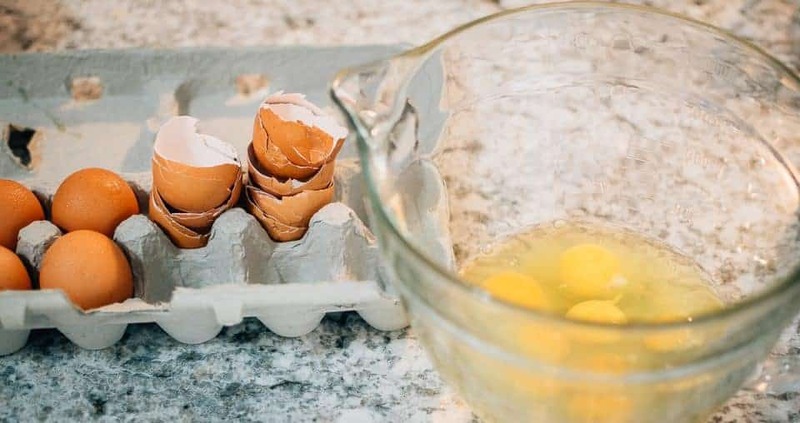 Pour the eggs all over the casserole, lifting any edges to get the egg down to the ‘crust’ of your one pot leftover meal. Once constructed, bake in preheated oven till set. The middle should not be jiggly when fully cooked. Baking times vary from 45 minutes to 90 minutes depending on the size of pan and how many eggs were used. 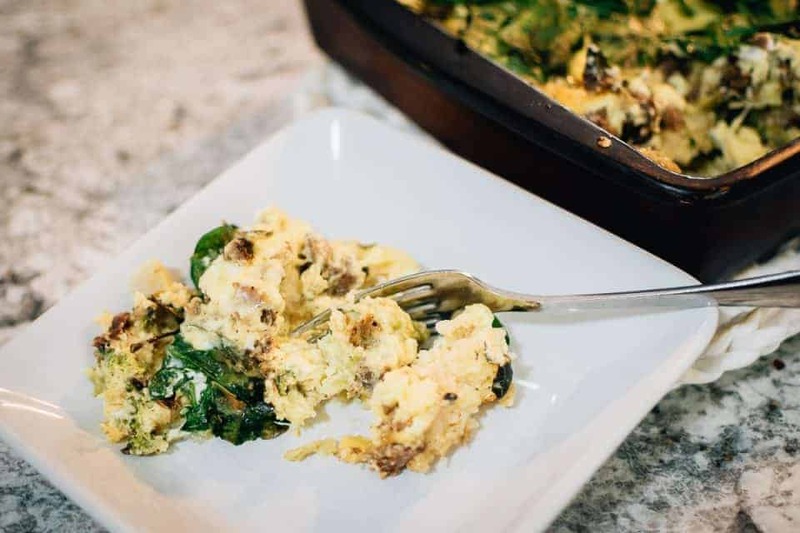 Not only do you have a meal assembled within about 20 minutes, but it combines all the flavors of the week into one delicable and easy meal for busy nights or early mornings. Just be sure to give yourself enough baking time for those eggs to set. Pair with any fresh vegetables, sauerkraut, or even sour cream for a delectable dinner dish. Despite kids not eating leftovers individually, somehow throwing it all together in a one pot meal just works wonders! Now, keep up your awesome healthy eating habits by eating organic! See exactly how budget-friendly it can be here with Eating Organic Foods With 9 Children To Feed. This article was originally published by Dailymom.com. Read the original article here. I am a father of three and my wife is a registered nurse specialized in children. Why do toddlers want to read the same book over and over again?